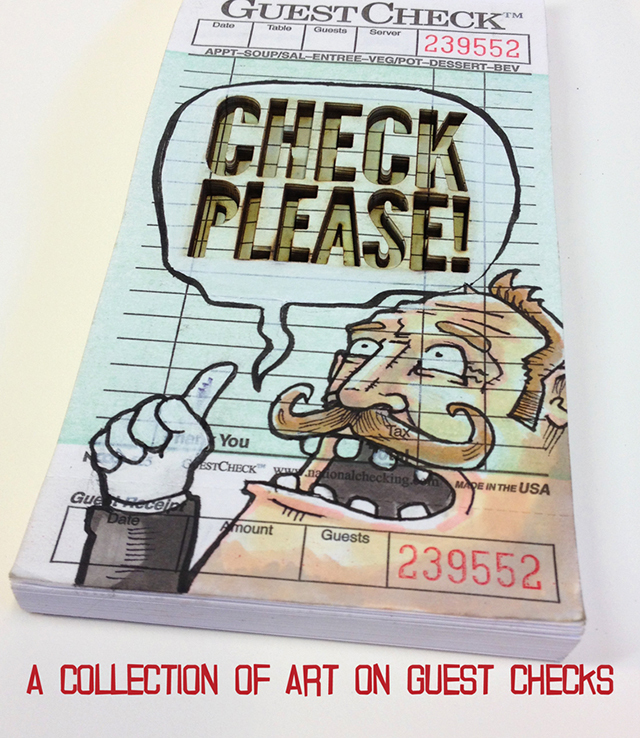 Check Please!, an upcoming art book by John “Super Ugly” Williams, features “the very best” artwork on restaurant checks from his collective art blog Guest Checks. 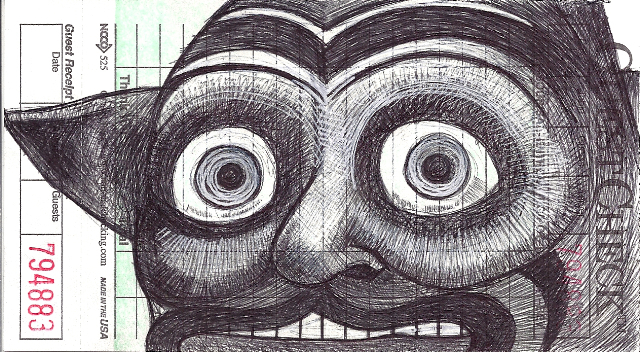 John is currently raising funds on Kickstarter for the book’s production costs. 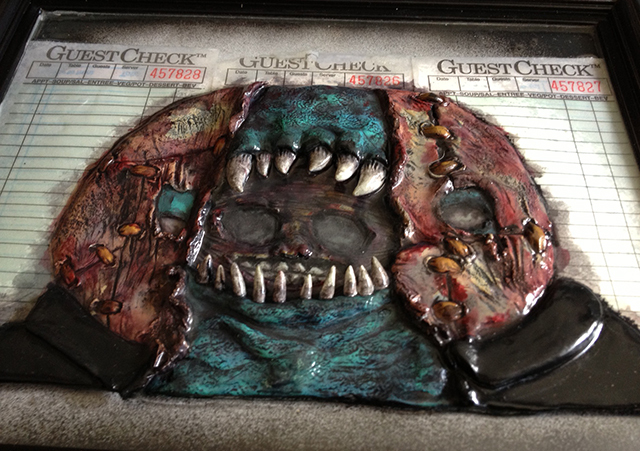 Previously, we wrote about more of the artwork that will be displayed in Check Please!. This is an epic Full Color, 80 page Hardcover art book that measures 9x9inches. Over 50 artists with more than 150 checks, each check different, different media, different use of the same space. I am so proud to be among the artists involved with this project and it would be a dream of mine to get this book funded and into some well deserving hands. N8 VanDyke, Matt136, Skinner, Dave Correia, Cody Schibi, Emonic, C.B. Canga, Ken Davis, Super Ugly, Dave Dwonch, JoeMur, Josh Ellingson, Ben Walker, Robert Bowen, Brian Canio, Cody Vrosh and so many more.